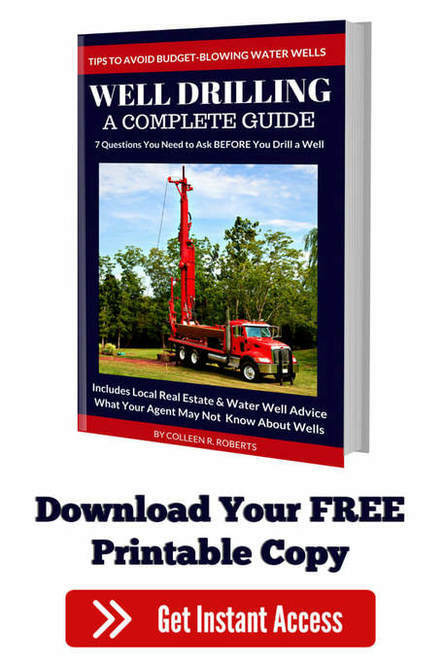 Get the Maple Ridge Water Well frequently asked questions and answers before you drill a well. Maple Ridge Well Drilling Cost is available online for complete water well systems. Are you preparing to drill a water well in the Maple Ridge area? Maple Ridge Well Drilling provides quick online well drilling quotes. Local property owners have full access to the current Maple Ridge well drilling costs without the need for a prior sales visit on your property. For current Well Drilling costs just provide a few details about your property when sending a request for the cost to drill a well in Maple Ridge. Any information will help prepare a detailed estimate and information that you will need to drill a well. To request a well drilling price, please submit your information, we respond quickly to all requests. Your information is always private and is only used to provide a detailed well drilling cost estimate for drilling a well in Maple Ridge & area. Q: Maple Ridge Water Well - Who Can Have One? A: Almost every property with a requirement for water will typically have the right to a house-hold-use water well, while you may not be required to have a well drilling permit in Maple Ridge there may be local Maple Ridge bylaws that must be required to drill a well in Maple Ridge. Please call Maple Ridge Well Drilling for information on your local well drilling regulations and requirements. Q: How Long Can I Expect My Water Well to Last in Maple Ridge? A: Quality drilled water wells in Maple Ridge should last for a very long time with today’s well drilling method and water well construction materials. A drilled water well could last for up to 100-years in some areas although this would not be common. There are many variables to consider, it’s very important to do a good job siting a new water well prior to drilling to yield as much water a possible, if local aquifer conditions change your local water well will hopefully remain productive. Q: How Much Work is Involved to Maintain a Water Well? A: Very little water well maintenance is required, we suggest testing your well water annually along with periodic water well disinfection & flushing as required to maintain a clean healthy well. Q: How Safe is Groundwater? A: In Maple Ridge groundwater has generally been the best choice for a more stable, safer, and cleaner water resource on most local properties, most. Maple Ridge Well Drilling are the local well drilling specialist in the Pitt Meadows and Maple Ridge area, we are very familiar with the local aquifers. Surface water resources such as rivers, dugouts, and many shallow dug wells; require much more maintenance. Treatment of well water often requires chlorination or UV sterilization for bacteria and parasites etc. A drilled water well is sealed and protected, it’s typically more difficult to introduce bacteria as easily as may other sources of water. Q: How do I Hire a Good Well Drilling Company? A: Work with a local well drilling company that has a good proven track-record in the area and has been in the local well drilling business for a long time. At Maple Ridge Well Drilling, we make sure all our well drilling contractors have a safety program, insurance, and workers compensation coverage for their employees with a highly proven success rate of quality drill wells in their history. Q: Who Governs the Quality Control of Water Well Drilling? A: Our drillers and technicians are trained under the local apprenticeship program and abide by the well drilling regulations for British Columbia. Q: What Services are Provide After my Well is Drilled? A: Maple Ridge Well Drilling provide a broad-scope of water well services that may be required to get your water well operating such as well pumps, water storage tanks, water treatment & water well testing. Q: If My Water Well Stops Operating What Should I Do? A: Turn off the well pump breaker at your breaker panel and call Maple Ridge Well Drilling as soon as possible, we will send out a local water well service technician quickly. Q: What is Rotary Air Drilling? A: Rotary air drilling is just what it says. We drill using a large compressor to clean out the borehole. This is the cleanest and preferred modern well drilling method used today in the well drilling industry. Q: What is the Cost to Drill a Well in Maple Ridge? A: The estimated well drilling cost in Maple Ridge and the local area is dictated by location, geography, method of drilling & water well construction materials. 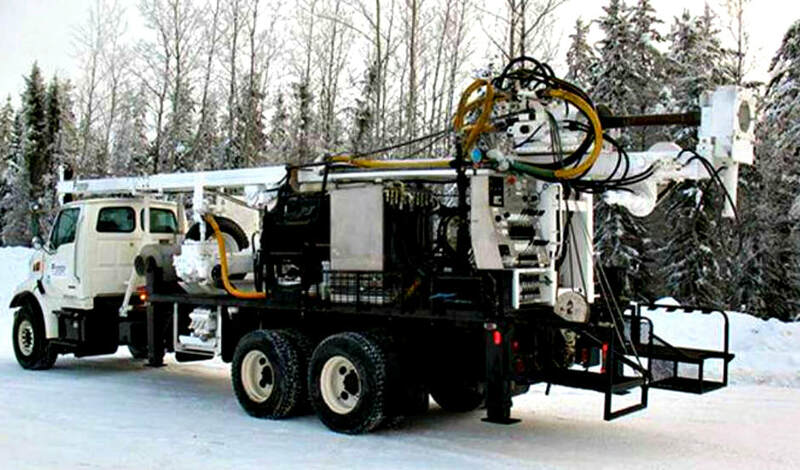 Local well drilling experience is vital to successfully complete drilled water wells in Maple Ridge, Pitt Meadows, Haney, Albion, Iron Mountain, Kanaka Creek, Port Hammond, Ruskin, Whonnock, Silver Valley & Webster Corners. Expert well development and craftsmanship is required for long-lasting wells and managing the cost of well drilling. Our goal is always to avoid drilling excessively deep whenever possible, eliminating water well problems such as saltwater intrusion that may occur in some areas of the Fraser Valley. Drilling excessively deep not only increases the over-all well drilling cost in Maple Ridge but the risk of saltwater intrusion may also greatly increase in some areas. Request a FREE well drilling estimate online for the cost to drill in the Maple Ridge area. 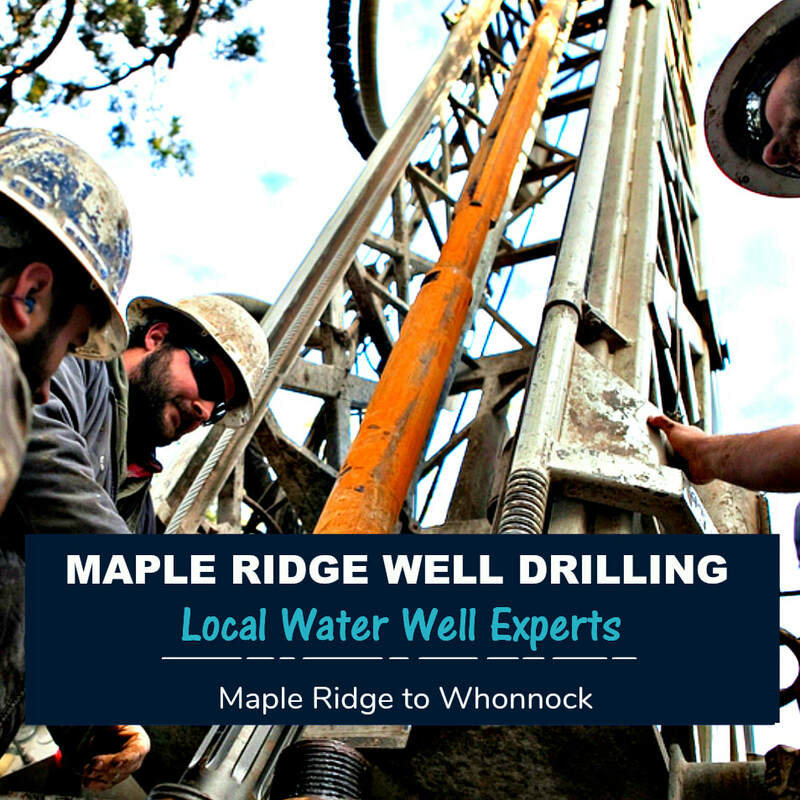 We appreciate our Maple Ridge clients and proudly drill premium water wells in Maple Ridge and the local communities, our ability to offer local water well services would not be possible without out highly proficient well drillers and well pump experts. Maple Ridge Well Drillers truly care and enjoy provide top-notch water well drilling throughout Maple Ridge, Pitt Meadows and east to Whonnock. Drilled water wells play a huge part in everyday life for thousands of families and local business owners, including agriculture, hobby-farms, and many other community businesses that depend on the aquifers and groundwater resources to sustain their water requirements. Call Maple Ridge Well Drilling or request a detailed FREE online Well Drilling estimate. We also provide quick water well pump replacement and well pump repair estimates online. With any water well drilling method in Maple Ridge the permeability of the formation around the bore-hole is reduced. Water well development in the Maple Ridge area is demanding and vital for superior water well completion to maximize the efficiency of a well by rehabilitating the aquifer after the disruption caused by the drilling and water well installation process. Fine-particles surrounding a well-screen must be removed from the area to increase the permeability of the aquifer, with the use of air and our unique surge methods at Maple Ridge Well Drilling we greatly enhance our water well development process! It's worth taking a little extra time to do RIGHT! 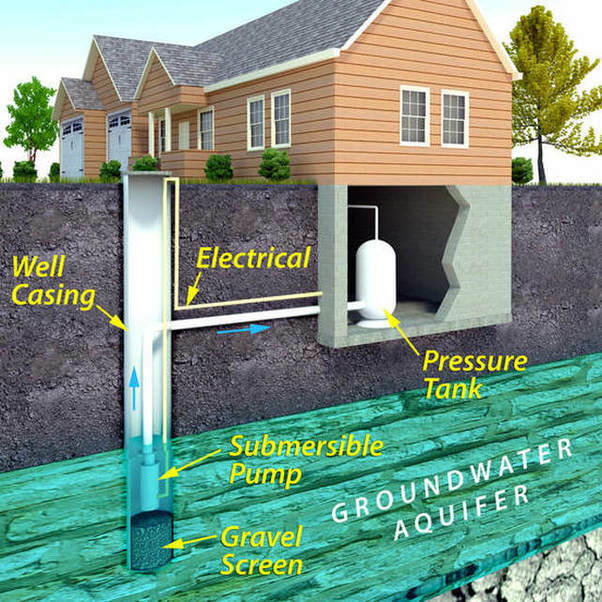 Maple Ridge Well Drilling understands the importance of water well-screen design, careful selection of a well screen is, without doubt, the most important consideration when constructing an efficient water well. A properly selected well-screen is designed to serve two basic purposes: to allow the un-obstructed entry of clean water free from sediment into the well, and to permit a maximum flow to the formation for water well development procedures. BC Ministry of Environment WELLS Database Maple Ridge, Pitt Meadows, Haney, Albion, Iron Mountain, Kanaka Creek, Port Hammond, Ruskin, Whonnock, Silver Valley & Webster Corners. The WELLS Database for Maple Ridge communities is regularly updated and managed by the British Columbia Ministry of Environment. The provincial government's iMapBC is an important online portal to a wealth of open government data for the Maple Ridge to Whonnock area. A valuable water resource, WELLS Database Maple Ridge is a self-serve online system, free of charge - available for public use, it you need any help please feel free to contact our office, we are always happy to help or answer questions. Along with the British Columbia Water Well Regulations, Resources and the Maple Ridge Well Search Tool, you'll find the provincial land-use requirements, setbacks, Fraser Health Links, BC Water Rights Database and other pertinent Maple Ridge & Whonnock water information and regulations with down-loadable reports and website links. Maple Ridge Well Drilling provides BC Well Drilling Regulations for Whonnock and Maple Ridge, Canadian Drinking Water Guidelines is included in the official WELLS Database Maple Ridge Water Resource Library is hosted by Maple Ridge Well Drilling & Pump Services. Not all water wells are drilled deep in Maple Ridge, in fact many wells will be far less than 200' deep. If a water well is located near potential sources of contamination it is vulnerable and can become contaminated with the possibly of causing serious illness or even death. British Columbia Water Well Regulations and the Ministry of Environment set-backs for water well in Pitt Meadows and Maple Ridge are required to protect water resources from becoming contaminated from a multitude of possible sources. To understand comparable well drilling depths in Maple Ridge, it's best to locate the Ministry of Environment set-backs and refer to your local resources including well drilling reports, resources are available at BC Water Well Search and local community bylaw offices. A water well drilled the Maple Ridge, Whonnock or any of the surrounding communities should be located on higher ground when possible to protect the well head from normal or seasonal flooding and possible surface drainage. Both shallow wells and deep water wells located anywhere in the Fraser Valley can become vulnerable and should always be located away from surface drainage-ditches and other possible problems and sources of contamination.